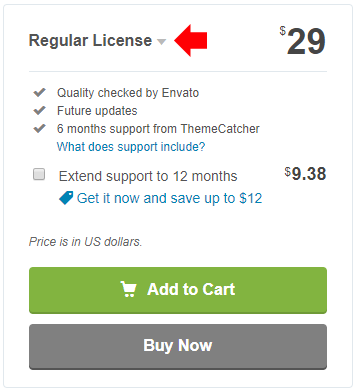 Any buyer of the Extended License is permitted to include the Quform plugin with a WordPress theme that is sold on ThemeForest. 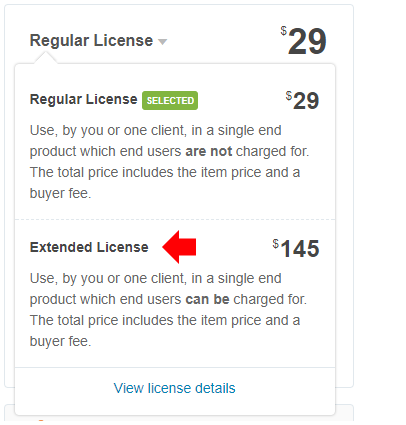 Purchase the Extended License from the CodeCanyon Quform page. To meet the ThemeForest theme submission requirements the Quform plugin must be added to the theme using the TGM Plugin Activation plugin, also include the line add_filter('quform_is_bundled', '__return_true'); to set the Quform plugin into bundled mode. The following code is an example implementation. // This is an example of how to include a plugin bundled with a theme. 'name'               => 'Quform', // The plugin name. 'slug'               => 'quform', // The plugin slug (typically the folder name). 'source'             => get_template_directory() . '/plugins/quform.zip', // The plugin source. 'required'           => false, // If false, the plugin is only 'recommended' instead of required. 'version'            => '2.7.0', // E.g. 1.0.0. If set, the active plugin must be this version or higher. If the plugin version is higher than the plugin version installed, the user will be notified to update the plugin. 'force_activation'   => false, // If true, plugin is activated upon theme activation and cannot be deactivated until theme switch. 'external_url'       => '', // If set, overrides default API URL and points to an external URL. 'is_callable'        => '', // If set, this callable will be be checked for availability to determine if a plugin is active. * sending in a pull-request with .po file(s) with the translations. * Only uncomment the strings in the config array if you want to customize the strings. 'id'           => 'tgmpa',                 // Unique ID for hashing notices for multiple instances of TGMPA. 'default_path' => '',                      // Default absolute path to bundled plugins. 'menu'         => 'tgmpa-install-plugins', // Menu slug. 'parent_slug'  => 'themes.php',            // Parent menu slug. 'capability'   => 'edit_theme_options',    // Capability needed to view plugin install page, should be a capability associated with the parent menu used. 'has_notices'  => true,                    // Show admin notices or not. 'dismissable'  => true,                    // If false, a user cannot dismiss the nag message. 'dismiss_msg'  => '',                      // If 'dismissable' is false, this message will be output at top of nag. 'is_automatic' => false,                   // Automatically activate plugins after installation or not. 'message'      => '',                      // Message to output right before the plugins table. 'name'               => 'Quform', // The plugin name. 'slug'               => 'quform', // The plugin slug (typically the folder name). 'source'             => get_template_directory() . '/plugins/quform.zip', // The plugin source. 'required'           => false, // If false, the plugin is only 'recommended' instead of required. 'version'            => '2.7.0', // E.g. 1.0.0. If set, the active plugin must be this version or higher. If the plugin version is higher than the plugin version installed, the user will be notified to update the plugin. 'is_callable'        => '', // If set, this callable will be be checked for availability to determine if a plugin is active.